Kristen grew up in a family of four, so from a young age exhibited a strong and competitive drive. She prides herself on her work ethic and is highly motivated in everything she does. Kristen strives to be the best, and will work every single day to ensure she achieves what she aims for. 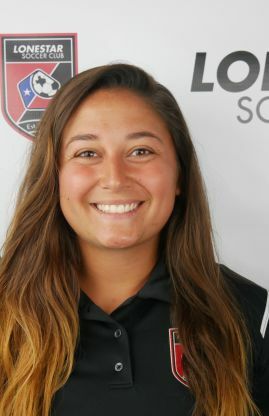 Soccer has been and is her life, that's why she chose this career path, saying, "I want players to learn what I learned from this beautiful sport, and love it the way I love it. The only way for me to accomplish that is to coach for Lonestar Soccer Club."